The IBN History of Brewing Series continues to grow with this new, handy paperback version of a British brewing classic: Secrets of the Mash Tun; or The Real Causes of Failure in Producing Good Ale or Beer. First published in 1847, this guide was written for small brewers and home brewers during a period when science was becoming more appreciated for its contributions to the brewer's art. Like all of our books, this is not a scanned reproduction, but an all-new edition, freshly re-designed and typeset, including Publisher's comments and a helpful record-keeping section at the back for home brewers. With simple explanations, useful advice and a common-sense approach, it offers today's small-scale brewers a handy manual of practice and a fascinating insight into our beer-brewing past. It would make a great addition to any homebrewer's bookshelf, or a nice evening's reading beside a warm winter fire. Like our other IBN volumes, custom-imprinted editions can be created as gift or resale items for craft brewers and brewpubs. Avalilable via Amazon UK HERE. We have just published the third installment in the TLG Design Library - William Morris: Some Thoughts on His Life, Work and Influence. This is a newly-created reprint of a long form work about William Morris that originally appeared in The Craftsman magazine in 1901. Published by Gustav Stickley, The Craftsman featured articles about the American Arts & Crafts Movement, as well as home designs and examples of Stickley's popular furniture. Originally written by Irene Sargent for the magazine, this profile of William Morris was a tribute to the primary role he played in art and design in the late 19th century. 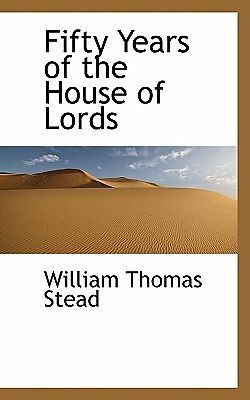 This is not a poor scan of an old publication, but an all new, re-designed edition, with an attractive, Morris-inspired cover design that is appropriate to its historic subject. With the explosion of interest in brewing, Marketing and consumption of Craft Beer over the last two decades, there has also been an increased interest in brewing history. Brewers all across the world are studying and reviving age-old traditions, while craft beer enthusiasts continue to study the rich and fascinating world of Beer Culture. Danish Beer and Continental Beer Gardens represents yet another all-new edition of a work that originally sought to glean “best practices” of Europe in an effort to support beer consumption and enjoyment in pre-WWI America. With an all-new design, introduction and additonal supplementary information, we are happy to continue to bring this history to today’s beer drinkers. Like all of our re-print series, the images have been carefully scanned and photo-edited, new material has been added for improved context and added depth, and a new cover design has been created specifically for this work. 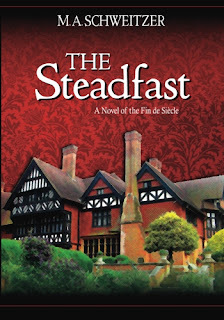 When I initially created American Biblioverken, my goal was to simply create an imprint that I could use to publish and distribute my first novel, The Steadfast, back in 2002. I had briefly investigated finding an agent, but although my queries did obtain some helpful feedback, the process seemed just too time-consuming. Furthermore, my vision for the book included the finished product, with very specific design and layout parameters, and I was disinclined to leave all of this to someone else. I thought the best way to bring this vision to reality was to publish the book myself, which I did. Never mind that I did not have time to market the book (I was busy at a full-time job as it was) -- part of my motivation was to check “Writing a Novel” off my bucket list of things to do, and move on. I was appreciative of a few nice reviews I got—including the local newspaper—but fifteen years ago, hardly any review publications were accepting self-published work. So, I moved on. However, after completing one book, it was tempting to try another. I started working on a few more projects, and completed a second book for some professional colleagues, The BLT Hypothesis – A New Approach to ADHD and Asperger’s Syndrome, which I produced and created for their own imprint. I also took an interest in curating and re-publishing some public domain works, and began several long-term projects along these lines. Stories of Ohio, a work by Ohio writer William Dean Howells, was the first of these, published in 2012. Making The Old New Again. And Doing it the Right Way. Over the years, I’ve bought a lot of books on Ebay. Primarily, these are books on art, history and architecture, and many are old, out-of-print editions. Some are relatively rare and hard to find. Occasionally, due to high cost or rarity, I’m unable to obtain a particular book; a good example of this might be Old Cottages, Farm Houses and other Half Timbered Buildings in Shropshire, Herfordshire and Cheshire, by E.A. Ould, originally published by Batsford in 1904. Original editions are almost impossible to find. A digital copy is available via Google Books as well. Which brings me to the third option, a new, POD copy available from one of many “public domain” specialist printers. This also brings me to the point of this post. I have only come across a few physical copies of these types of books, and each one has been severely wanting in terms of quality and design. 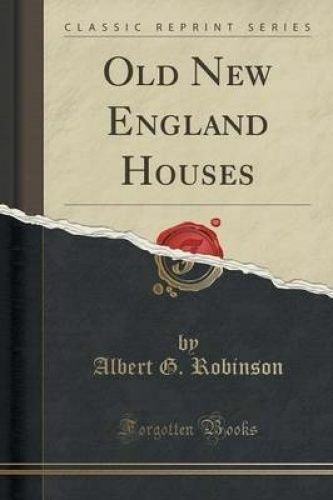 A post on The Long Gallery, regarding the example of Alan Jackson's The Half-Timber House: Its Origin, Design, Modern Plan, and Construction sets this matter out clearly; the new version was produced from a very poor copy of the original, to the extent that the illustrations were almost useless as a complement to the text. Thankfully, I have been able to obtain an original edition of the book, and the quality problems are plain to see. I suspect this issue is quite common among the majority of “public domain” publishers who apparently do a quick “rip-and-scan” of an old book (or a print/digital copy of an old book) and then make it available to buyers at a vastly inflated (and often outrageous) price. Often, these types of books include poorly-reproduced illustrations, sloppy or illegible text, crooked page scans and photographs obscured with a distracting moiré pattern. Many of these examples are simply shameful, and could be immediately dispatched to the garbage can. Sadly, for buyers in search of a particular book, there may be no other option. Until now. Suffice to say that why I do make use of digital books, I generally prefer printed books—especially since I like to add them to my library shelves. As a result, we have taken on a new effort, which is to uncover older works that are deserving of good treatment and re-publish them in all-new editions, with a serious approach to quality and design. 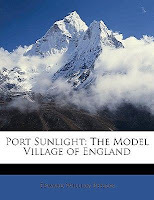 When I say all-new editions, I mean that the text has been run through OCR and proofed, the book has been laid out with an all-new design (deemed to be complementary to the original) and that the images have been carefully re-scanned and photo-retouched in order to make the quality as good as possible. This also includes an attractive, new cover. The result is almost a new book, and one which represents some significant time and effort to produce. And yet—I feel we can sell such a book at a price which is still lower than the noxious “rip and scan” versions one finds today. In some cases, we may also include supplementary material or commentary that provides modern insight, or which puts the historical material in clearer context. Likewise, illustrations that provide visual explanation may be added where appropriate, or where it may complement a book full of pure text. Our initial efforts along these lines have included some smaller works; two books in a series on brewing beer, and an arts series that so far includes two brief works by William Morris. In addition, our edition of Stories of Ohio, by well-known American author William Dean Howells is another example of how we are interpreting these classic works for new generations. You can see these in our current lineup. As we move forward in this particular effort, we are determined to build a significant niche featuring overlooked architectural titles. We are nearing completion soon on a work involving house building utilizing traditional earth-built methods, which we believe will have significant interest for those adherents of sustainable construction techniques. 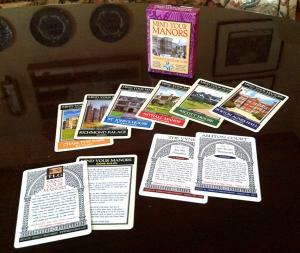 We have just published this collectible card game for The Long Gallery, featuring a custom 54-card deck including 52 full-color cards depicting some of England's most distinctive houses and manors. Printed by The Gamecrafter, a US company that specializes in custom, print-on-demand games, the cards are high-quality, printed to the same specifications as most playing cards or popular gaming decks you would find in any hobby or retail store. As for the game itself, it is a simple, turn-based game, where the object is to be the first to collect one or more suits of a particular color; the play is somewhat similar to old games like In Castle Land or Happy Family – and you may wish to develop your own rules. We've been planning to update the print version of The Steadfast ever since we created a new front cover for the ebook version a couple of years ago. Using that as a cue, we re-formatted the new cover (added spine and back cover) and updated the front material, including a new ISBN number for the 2015 edition. We selected a matte finish for this edition, which we think turned out pretty well in the two sample proof copies we ordered. The book is available now on Createspace and will be available in a few days on Amazon. Just $15.95.